I’ve been back in Somerset for the Easter holidays and one of the things I most wanted to do was eat at the Trading Post’s Railway Carriage Cafe. Situated to the side of the farm shop, this cafe is, as it says, in the carriage of an old fashioned train. There are a few booth-type seats inside and lots of tables outside and to the back of the cafe, looking out on to the fields of fresh growing vegetables. The menu changes daily, dependent on what is available from the fields, however there are some regular dishes such as soup, dhal and goats cheese tart. 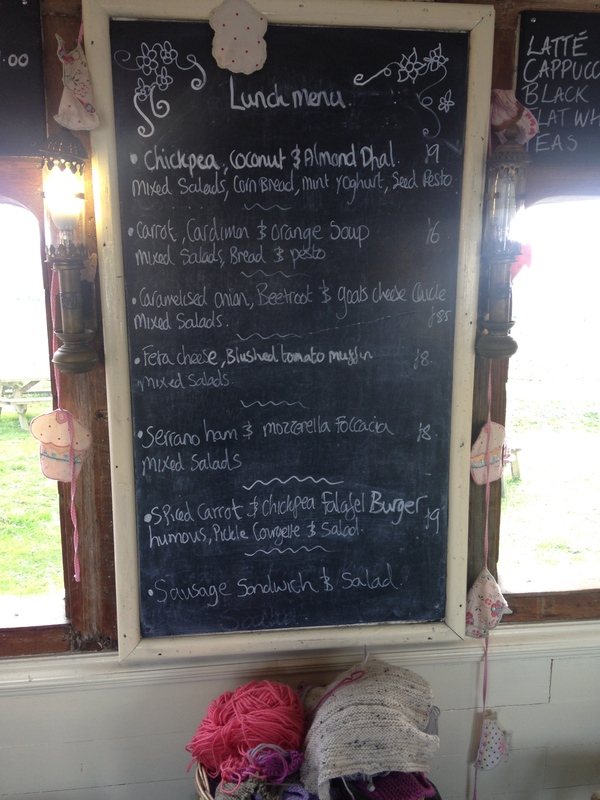 The chalkboard menus set out the delicious sounding dishes, as well as drinks, teas and coffees. 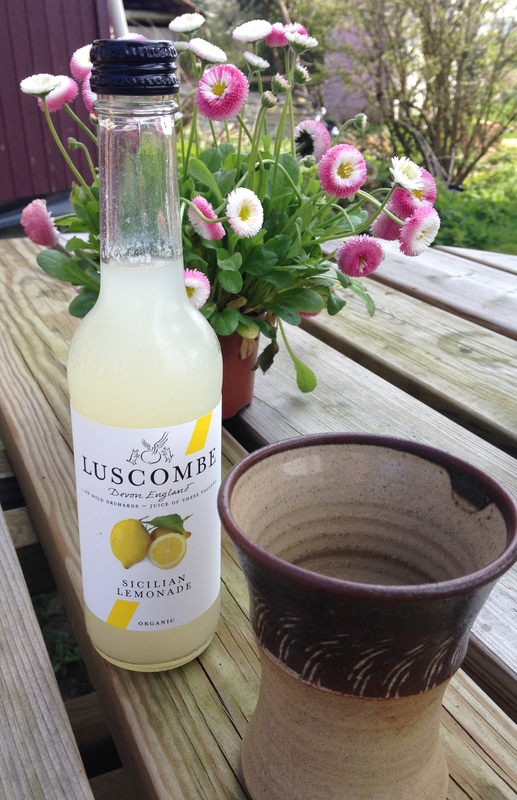 I went for the chickpea, coconut and almond dhal with a luscombe lemonade. 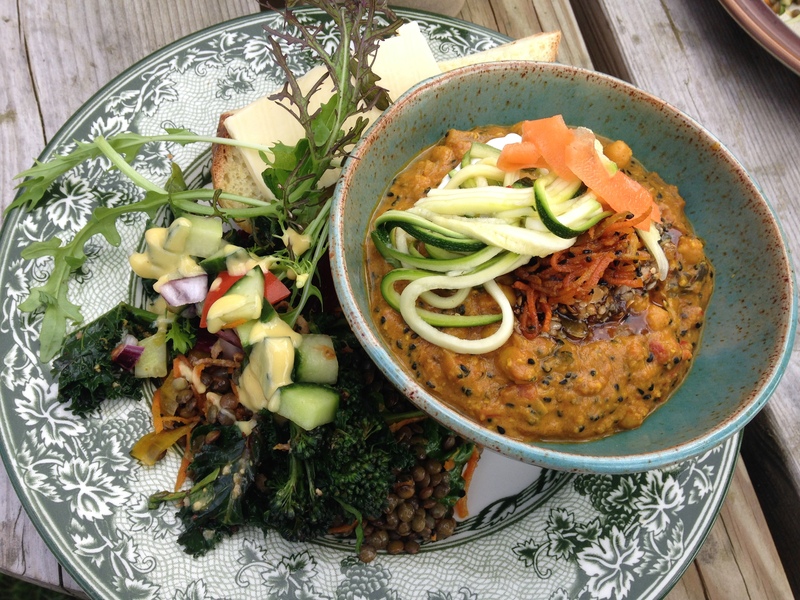 The dhal was served with a lentil and kale salad with some mixed veg and a lovely dressing, as well as a good sized piece of homemade corn bread and butter. The dhal was one of the best I have ever tasted, the flavours were incredible and I was very impressed. The salad was a great addition, and I love corn bread so I was already sold on that front! The meal was really filling and I cannot wait to go back and try the other dishes! 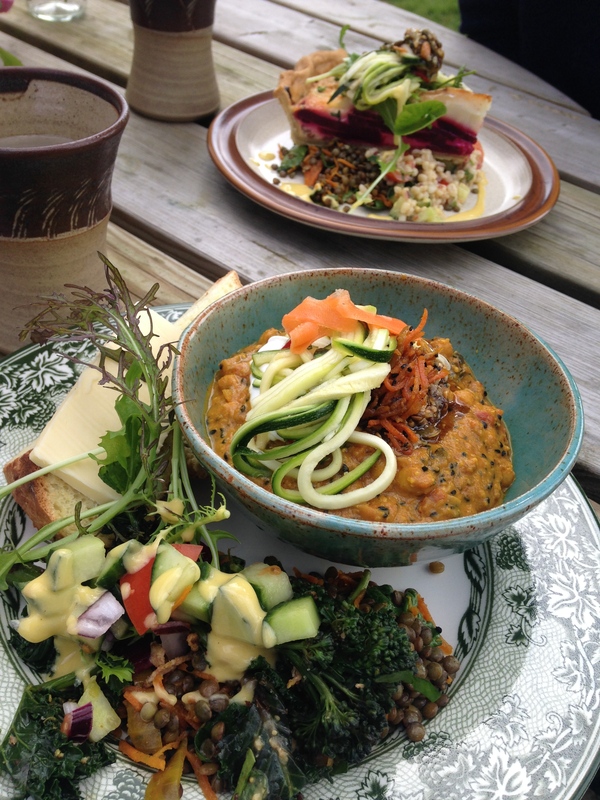 I would fully recommend giving it a visit as I’ve never tasted organic, vegetarian food quite like it. They also sell a few meat dishes for those of you who shudder at the thought of lentils! There are also cakes on the counter inside, perfect for afternoon tea.